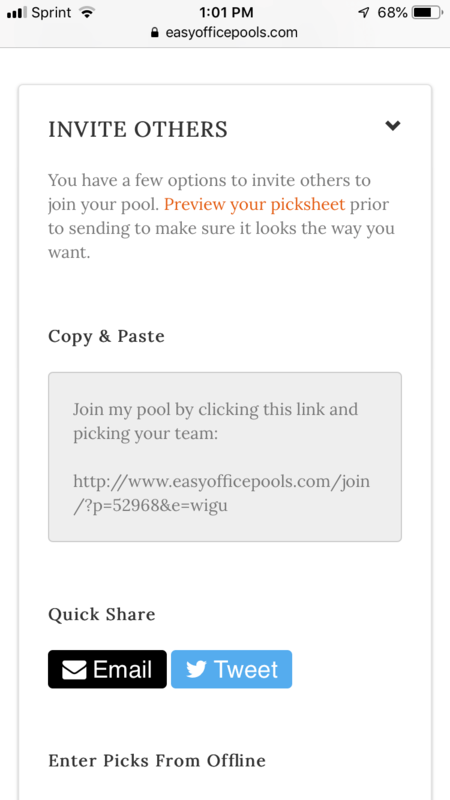 Send your questions and feedback by emailing us at easyofficepools@gmail.com. We are continuously improving the features of our pools to make them easier and more enjoyable for everyone. 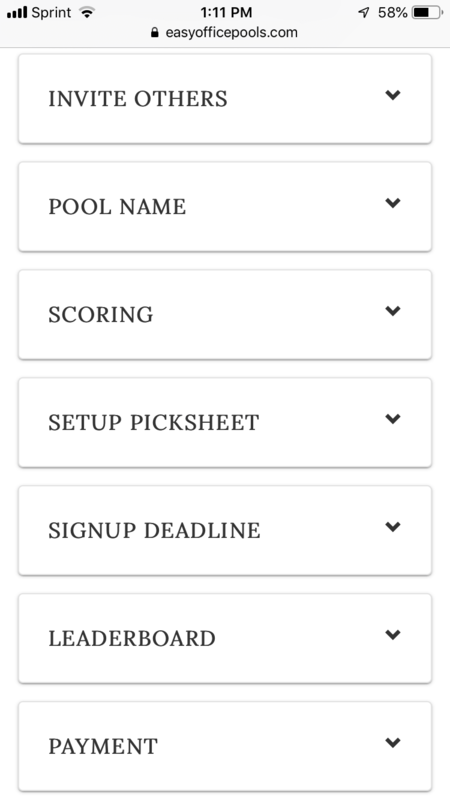 If you’ve never participated in one of our golf pools before, read about the details to learn how they work. I would like to inquire about a possible US Open game and here is a format a friend used for the Masters. He did it manually and it took forever. 1. Am I reading it correctly that it will cost $20 and you will set up the contest? 2. The Format: There were 6 Tiers. 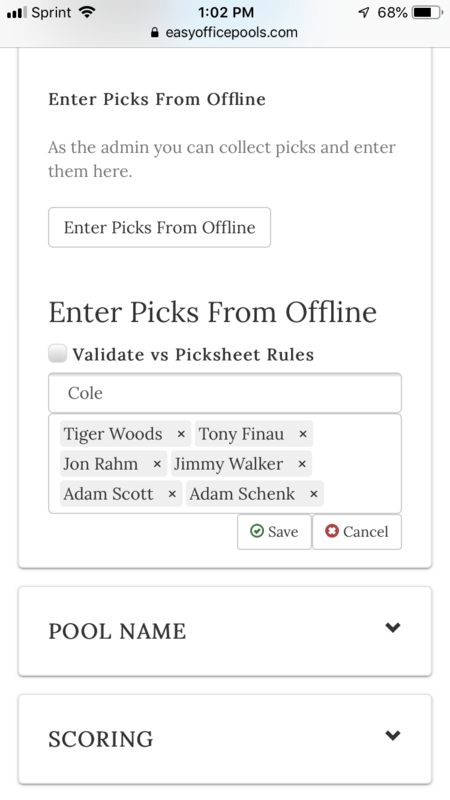 Each entrant was able to pick 8 golfers. 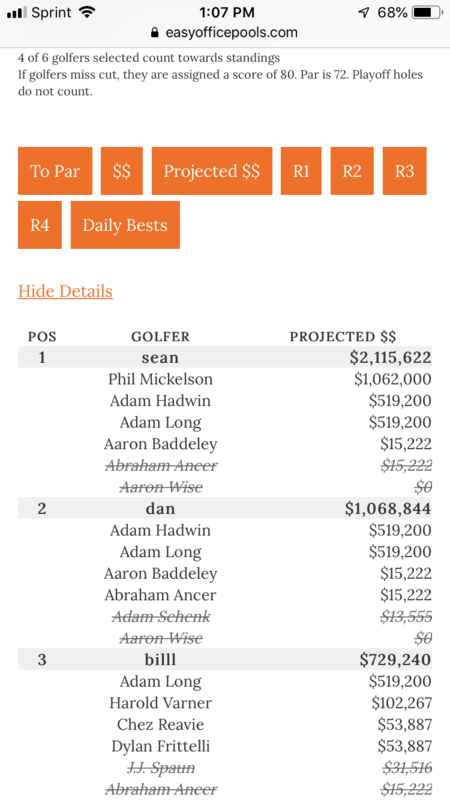 Tier 1 had Top 5 golfers and you selected 1. 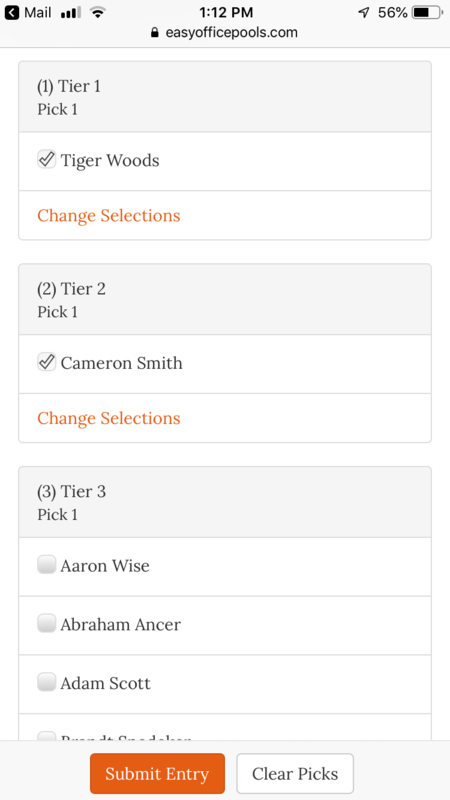 Tier 2 had the next 5 ranked golfers and you selected 1. 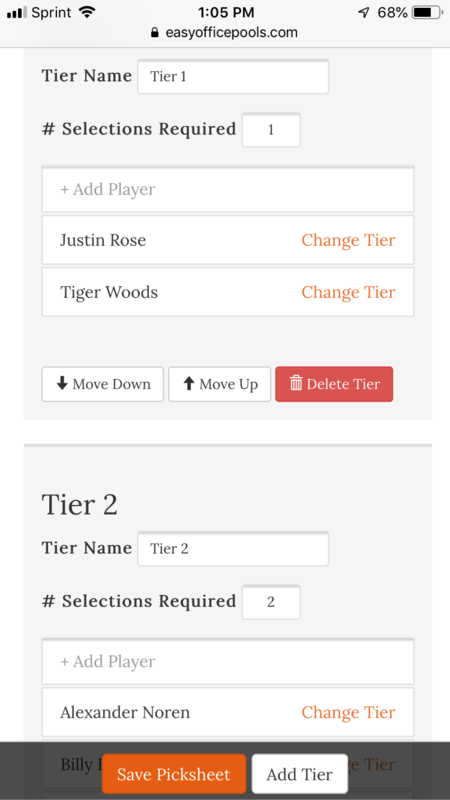 Tier 3 had the next 20 ranked golfers and you selected 2. 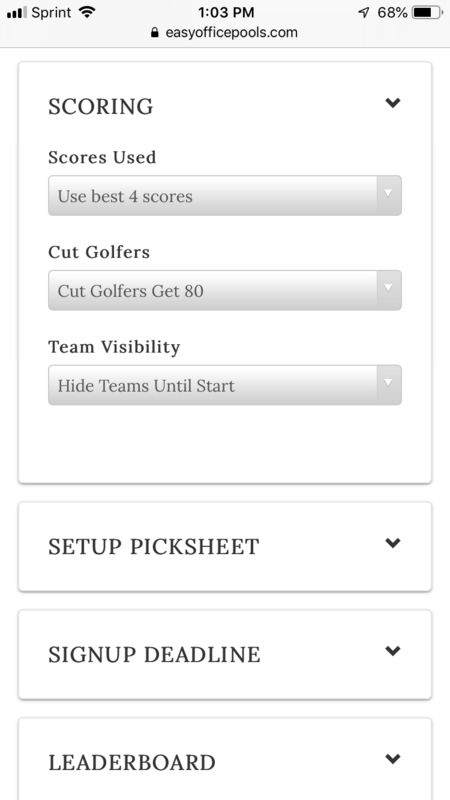 Tier 4 had the next 20 ranked golfers and you selected 2. 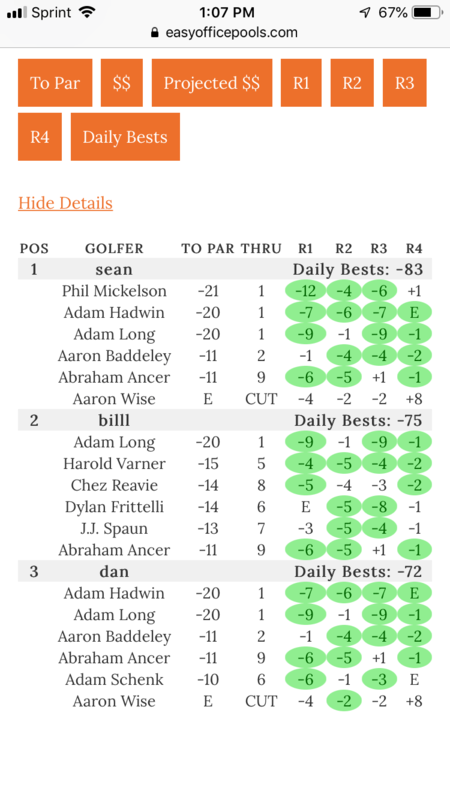 Tier 5 had the next 30 ranked golfers and you selected 1 and Tier 6 had the remaining (usually ranked 100 or higher) and you selected 1. 3. 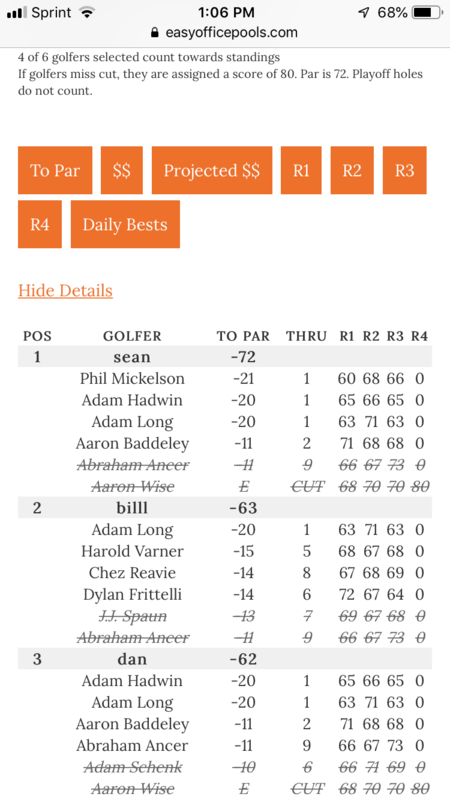 For scoring, your top 5 golfers counted. Golfers that did not make the cut received a score of 80 for Saturday and Sunday. 4. There is a chance I could have over 200 entrants. Does this sound like a contest you could or would handle or am I misunderstanding the site.